* A Limited Edition of 5,000 postcards published to commemorate their 50th Anniversary. ** A Limited Edition of 5,000 postcards published to commemorate their Golden Jubilee 1990. 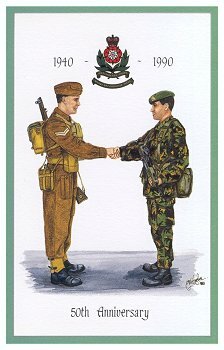 ** A Limited Edition of 5,000 postcards published to commemorate the presentation of new guidon on 30th June 1990.